Customer Relationship Management software is an amazing system, but have you made these mistakes trying to get results from CRM? If your directors do not buy-into CRM and there is no top down communication, you may struggle to ever make your CRM a success, and never achieve results from CRM. Leadership can offer considerable value if they are on board and not just for budgetary sign off. If you want CRM to make efficiencies and improve your business practices, then it is important that the leadership team looks at what management information they will need. Additionally, they will be able to motivate their teams to get involved and see the reasons to buy into CRM. The leadership team should buy into a communication plan and drive the CRM solution. In order for a CRM implementation to be a success you will need measures. It will be really important to look at the measures now so that you can compare them in the future, once CRM has bedded in. CRM works best when it manages processes and makes them more efficient, as well as helping cross department communications. Work to ensure that your processes are in good shape. Review your processes as a blue sky opportunity; realise where you can make wow moments or offer something amazing. CRM should never force you to work around your process. It should seek to work with your processes and offer that efficiency drive to truly deliver results. Failing to get your users involved from day one can be a critical mistake in any CRM implementation. The users will be the lifeblood of the system. They will be the ones inserting data, using it to help their roles and offer them insights and information to ultimately help your customers. Getting users on board early has huge advantages so that they will feed into the system and will want to use the system. They will be part of testing and development to ensure it works for their teams. CRM is a software that is based on people so make sure you include them to see the best results and benefits. Data cleanse can be a huge undertaking. Once you look at the number of areas where data is held, and the type of data held, it can be time consuming to bring that into one system. If the data that comes into CRM isn’t clean or useful, then CRM will be unable to offer the reporting or insights needed. Check out ways to get the data together into one clean excel spreadsheet or system, before bringing into a CRM system. So how can you avoid making these costly mistakes and ensure that you keep your CRM project on track and ensure its success? 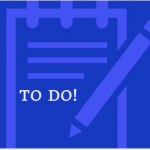 Reivew our top 10 mistakes you don’t want to make when starting a CRM implementation. 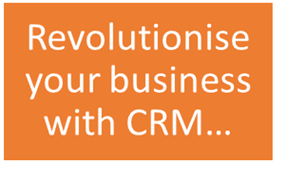 Already implemented CRM but need help to get your CRM back on track? Our free CRM resources can help you get ahead and acheive results from CRM.